LOS ANGELES, Calif. (May 16, 2016) - The 11th annual Amgen Tour of California presented by AEG entered its second decade as America's most prestigious annual cycling event, welcoming an unsurpassed field of professional teams for the race start in San Diego. One of the most important races on the international calendar, the 8'day event attracts some of the brightest cycling stars in the world to the golden state each May. This year’s field features 11 World Champions, five Olympic medalists and Rio Olympic hopefuls, with more than 30 countries represented. The 2016 Amgen Tour of California includes 10 UCI WorldTour Teams, the most in race history, as some of the top cyclists in the world face off across nearly 800 miles of California terrain May 15-22, visiting 12 Host Cities from San Diego to Sacramento. 2016 marks the debut of the UCI Women's WorldTour, which brings the highest level of professional women's cycling competition to cities around the world. 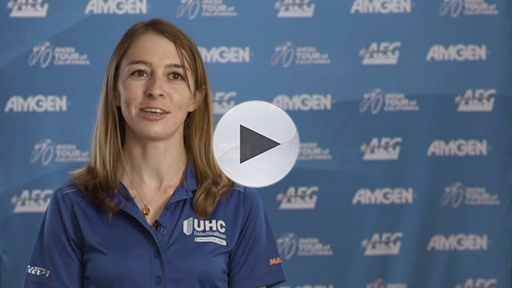 The four-day Amgen Breakaway from Heart Disease Women's Race Empowered with SRAM May 19-22 marks the U.S. debut of the Women’s WorldTour and will showcase some of the best talent in the sport. The peloton will include two-time Olympic champion Kristin Armstrong and eight Rio Olympic hopefuls. The eight-stage men’s event began Sunday with 18 of the world’s most decorated and esteemed teams competing for one of the sport’s most coveted titles. World Champion and reigning race champion Peter Sagan of Tinkoff roared to victory in a bunch sprint to the finish line in Mission Beach, San Diego, putting him back into the yellow leader jersey he wore at the race’s conclusion last year. “I came here [to the Amgen Tour of California for] the first time in 2010…it was a very nice race, very good organization, very nice hotels, food… Also, the level of the race is very good, and it's also very good for preparation because it’s good weather. Now it’s the Giro and Tour of California. And I prefer to come here to train and prepare. And also I like California for the fans, and I’ve won a lot of stages here, and I’m very happy always to return here,” said Sagan of his 14th Amgen Tour of California career victory (the race’s all-time record holder for stage wins). The Amgen Tour of California is known for epic sprinter shootouts, and the 2016 edition pits UCI's top-ranked rider Sagan (Tinkoff) against rivals Mark Cavendish (Team Dimension Data for Qhubeka), who came away with the green jersey last year, John Degenkolb (Team Giant-Alpecin) and Alexander Kristoff (Team KATUSHA). In addition to Sagan, general classification hopefuls include 2014 race champion Bradley Wiggins, back with his development squad (Team WIGGINS), French sensation Julian Alaphilippe (Etixx – Quick-Step Pro Cycling Team), who placed second by mere seconds last year, Laurens ten Dam (Team Giant-Alpecin), Rohan Dennis (BMC Racing Team), Andrew Talansky (Cannondale Pro Cycling Team) and Lawson Craddock (Cannondale Pro Cycling Team), two-time Best Young Rider at the Amgen Tour of California. “It will be a special return to the Amgen Tour of California… the last edition I raced, I ended the week atop the podium. This time, I’m bringing my own team as part of our prep for the Rio Games. It’s one of the best races in the world, we have some great young talent in the team, and so I’m excited to see what we can do,” said Wiggins, who won the Amgen Tour of California in 2014. One of the select few pro cyclists from California, Peter Stetina will endeavor to improve his 2014 6th place finish on his new team Trek-Segafredo as he mounts his return from a career-threatening injury last season. 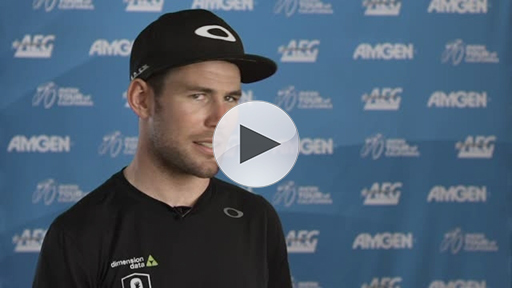 Mark Cavendish (GBR) of Team Dimension Data for Qhubeka discusses the level of competition at the Amgen Tour of California and its prominence on the international cycling calendar. 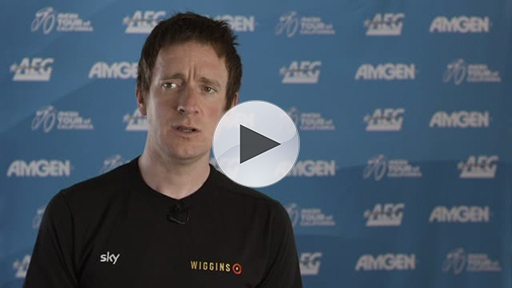 Three-time Olympic Gold Medalist and Tour de France Champion Sir Bradley Wiggin (GBR) discusses the Amgen Tour of California as a factor for Olympic team selection. 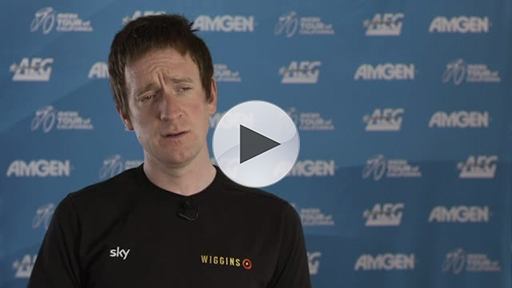 Three-time Olympic Gold Medalist and Tour de France Champion Sir Bradley Wiggin (GBR) discusses the caliber of the riders and level of competition found at the Amgen Tour of California. 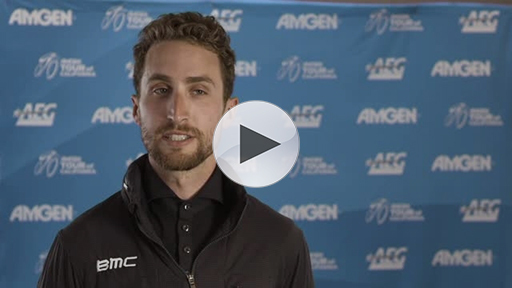 BMC Racing Team cyclist Taylor Phinney (USA) discusses how the Amgen Tour of California is attracting the world’s best cyclists. Highlights from Stage 1 of the 2016 Amgen Tour of California, where World Champion Peter Sagan claims the yellow jersey to kick off the eight-day stage race. Since its inception in 2006, the Amgen Tour of California has become one of the most important races on the international cycling calendar, showcasing the most accomplished cyclists from around the world. In addition, the event provides cyclists the opportunity to preview their prospective competition leading to the Tour de France, and this year, the Summer Olympic Games. It’s a banner year for women’s cycling with the Rio Games on the horizon and roster slots to be determined, as well as the first-ever UCI Women’s WorldTour. The Amgen Breakaway from Heart Disease Women’s Race Empowered by SRAM will be the first North American stage race of the inaugural Women’s WorldTour. The race will be more competitive than ever, with 7 of the top-10 UCI-ranked teams in contention, including current top-ranked Wiggle High5. Among Twenty16 – Ridebiker’s roster will be Kristin Armstrong (Memphis, Tenn.), the most decorated woman cyclist in U.S. history, including six National Championship titles between time trial and road racing and two World Time Trial Championships. “The Women’s WorldTour is coming to home soil, and I couldn’t be more excited. This amazing opportunity will showcase women’s cycling on the biggest stage in our sport! The Amgen Tour of California Women’s Race will bring the best of the best including Olympians, World Champions and National Champions representing countries from across the world – and not to mention the event lands just three months before Rio!” said Armstrong, a two-time Olympic gold medalist in Time Trial and hopeful for the U.S. Rio team. Portions of the Amgen Tour of California will be broadcast daily live on NBC Sports Network May 15-May 21, with the conclusion live on NBC on May 22. Fans call also follow the action through the race’s award-winning Microsoft Tour Tracker App for mobile and desktop. Amgen Tour of California fans also can connect with the race through all of their favorite social media platforms. Links are available at the Social drop-down menu at www.amgentourofcalifornia.com and fans can use #AMERICASGREATESTRACE to join the conversation. For further information about the Amgen Tour of California and to experience the race like never before with VIP Access, please visit www.amgentourofcalifornia.com. The Amgen Tour of California is a Tour de France-style cycling road race created and presented by AEG that challenges the world’s top professional cycling teams to compete along a demanding course that traverses hundreds of miles of California’s iconic highways, byways and coastlines each spring. The teams chosen to participate have included Olympic medalists, Tour de France contenders and World Champions. Amgen Tour of California is listed on the international professional cycling calendar (2 HC, meaning “beyond category”), awarding important, world-ranking points to the top finishers. More information is available at amgentourofcalifornia.com. This year, the men’s course will cover nearly 800 miles over eight days through 12 host cities, including San Diego (first-time host), South Pasadena (first-time host), Santa Clarita, Thousand Oaks, Santa Barbara County, Morro Bay (first-time host), Monterey County, Lodi, South Lake Tahoe (first-time host), Folsom, Santa Rosa and Sacramento. The Amgen Breakaway from Heart Disease Women’s Race empowered with SRAM will run for the latter half of the men’s race (May 19-22) as the U.S. debut event on the inaugural UCI Women’s WorldTour (WWT). Amgen focuses on areas of high unmet medical need and leverages its expertise to strive for solutions that improve health outcomes and dramatically improve people’s lives. A biotechnology pioneer since 1980, Amgen has grown to be one of the world’s leading independent biotechnology companies, has reached millions of patients around the world and is developing a pipeline of medicines with breakaway potential. Founder and operators of the Amgen Tour of California and headquartered in Los Angeles, California, AEG is the world’s leading sports and live entertainment company. With offices on five continents, AEG operates in the following business segments: AEG Facilities, which owns, manages or consults with more than 120 preeminent arenas, stadiums, theaters, clubs and convention centers around the world including The O2 Arena, the Sprint Center and the Mercedes-Benz Arenas;AEG Live, which is dedicated to all aspects of live contemporary music performances, including producing and promoting global and regional concert tours, music and special events and world-renowned festivals; AEG Real Estate, which develops world-class venues, as well as major sports and entertainment districts like STAPLES Center and L.A. LIVE; AEG Sports, which is the world’s largest operator of sports franchises and high-profile sporting events; and AEG Global Partnerships, which oversees worldwide sales and servicing of sponsorships including naming rights, premium seating and other strategic partnerships. Through its worldwide network of venues, portfolio of powerful sports and music brands, AXS.com ticketing platform, AXS cable television channel and its integrated entertainment districts, AEG entertains more than 100 million guests annually. More information about AEG can be found at www.aegworldwide.com.